The Road to the Kentucky Derby Presented by TwinSpires.com features racing from around the world this weekend with plenty of points on the line for horses to be considered for the “Run for the Roses” on Saturday, May 6. 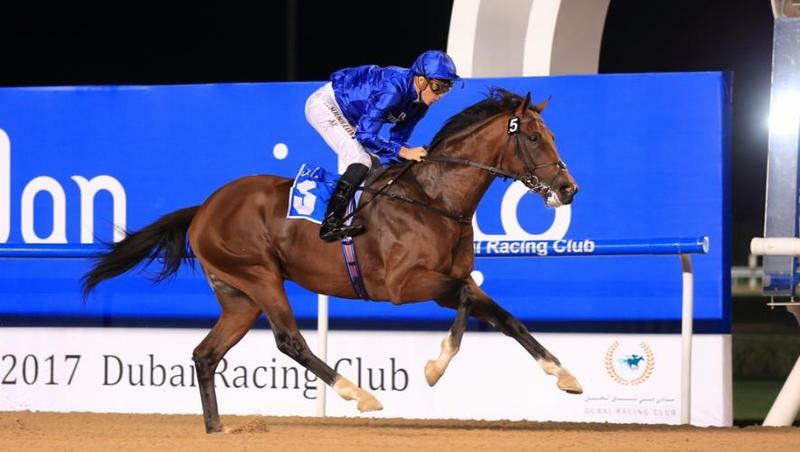 First up is Saturday’s $2 million UAE Derby (Group II) where Japan Road to the Kentucky Derby points leader Epicharis (Jpn) looks to remain undefeated when he meets Godolphin’s UAE 2000 Guineas winner Thunder Snow (Ire), who was made Triple Crown eligible earlier this week. Also scheduled this weekend is Saturday’s $500,000 Spiral Stakes (GIII) over Turfway Park’s synthetic Polytrack in Florence, Ky. and Sunday’s $800,000 Sunland Derby (GIII) in New Mexico near the border town of El Paso, Texas. Saturday’s UAE Derby at Meydan Racecourse will go as Race 4 on the Dubai World Cup undercard at 9:25 a.m. (all times EDT). The Road to the Kentucky Derby Championship Series continues later in the day with the Spiral as Turfway Park’s Race 10 at 5:55 p.m. Sunday’s Sunland Derby goes at 7:28 p.m. as Sunland Park’s ninth race. The 1 3/16-mile UAE Derby is the first race in the Championship Series to award 100 points to the winner and 40 to the runner-up. The third and fourth-place finishers will earn 20 and 10 points, respectively. The 1 1/8-mile Spiral and Sunland Derby are the final races to award 50 points to the winner and 20 to the runner-up. The third and fourth-place finishers will earn 10 and 5 points, respectively. The top point earners in the 37-race Road to the Kentucky Derby series will have preference to compete in the 20-horse Grade I, $2 million Kentucky Derby Presented by Yum! Brands. Epicharis, unbeaten in four starts after clinching an invitation to compete in the Kentucky Derby with a victory in the Feb. 19 Hyacinth at Tokyo Racecourse, is the 5-1 second choice on the UAE Derby morning line behind 8-5 early choice Thunder Snow (Ire). 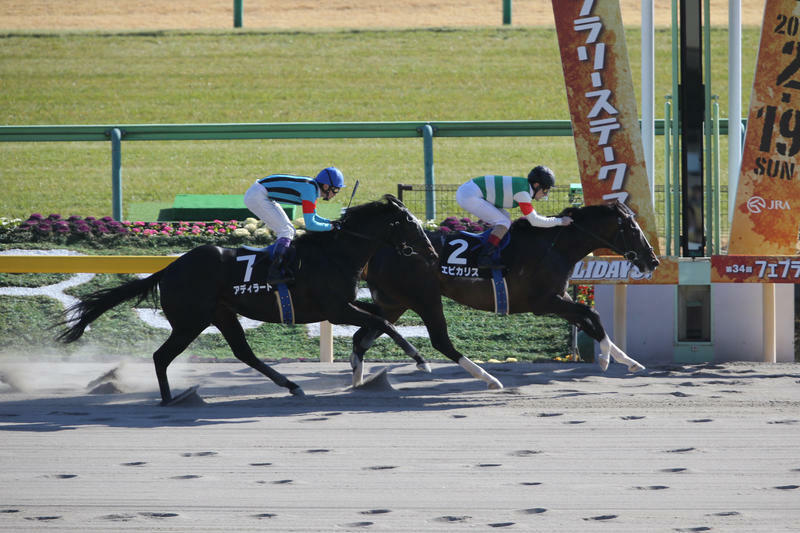 Japan’s Adirato (Jpn) , third on the Japan Road to the Kentucky Derby preference list, also made the 8,000-mile journey to Dubai and looks to avenge his runner-up finish in the Hyacinth when he was beaten three-quarters of a length by Epicharis. Other Triple Crown-eligible top contenders in the UAE Derby include Master Plan for trainer Todd Pletcher, a recent 2 ½-length winner in the restricted OBS Championship, and the Aidan O’Brien-trained duo of Breeders’ Cup Juvenile Turf second Lancaster Bomber and Group 3 runner-up Spirt of Valor – both sons of top stallion War Front. Some 11,000 miles away at Turfway Park, multiple stakes winner and recent runner-up in Gulfstream Park’s Palm Beach (GIII), Kitten’s Cat was installed as the 4-1 morning line favorite in a field of 12 for the Spiral. The Spiral features seven Triple Crown nominees – mainly comprised of horses that appear to prefer a grass or synthetic surface – and many are testing the Road to the Kentucky Derby series for the first time. Other Spiral contenders include impressive maiden winner and late Triple Crown nominee Parlor, Canadian-bred King and His Court, California shipper Soglio for Kentucky Derby-winning trainer Graham Motion, and OBS Championship runner-up Convict Pike. Turfway Park’s leading trainer Mike Maker has won the Spiral three times, including last year’s renewal with Oscar Nominated. Maker has three entrants in this year’s race: En Hanse, Fast and Accurate and Shiraz. 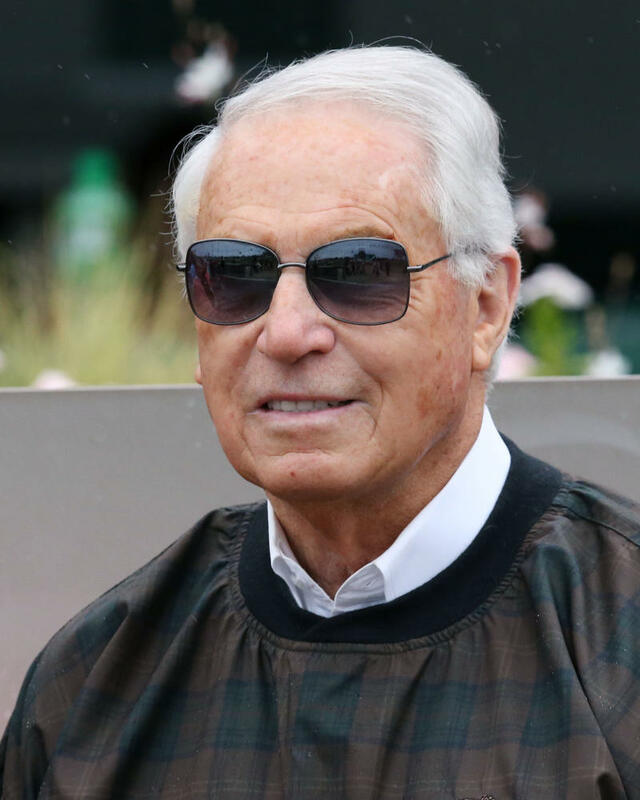 In Sunday’s Sunland Derby, Hall of Fame trainer Bob Baffert looks get back on the proverbial Derby Trail just two weeks after top contender Mastery was sidelined by injury. The 64-year-old conditioner has won the Sunland Derby three times and will attempt to land another with Juddmonte Farm’s 3-1 morning line favorite Bronze Age, a recent maiden winner at Santa Anita. Bronze Age’s main competitors appear to be runaway maiden winner and Florida shipper Hedge Fund for trainer Todd Pletcher, Louisiana-invader Shareholder Value, local favorite and unblemished Conquest Mo Money, winner of the Mine That Bird Derby, and maiden Irap, runner-up in the Mine That Bird Derby. Hedge Fund and Conquest Mo Money are not Triple Crown nominated. The Road to the Kentucky Oaks Championship Series continues at Turfway Park and Sunland Park. Turfway’s $100,000 Bourbonette Oaks (GIII) is scheduled for Race 9 at 5:09 p.m. on Saturday while the Sunland Park Oaks is scheduled for Race 7 at 6:18 p.m. Sunday. UAE Derby 8-5 morning line favorite Thunder Snow (IRE) was one of six late-Triple Crown nominees announced this week. The others were Hollywood Handsome, More Than Words, Parlor, Rapid Dial and Stretch’s Stone. In 13 of the 17 runnings of the UAE Derby, the winner had been saddled by either trainer Saeed bin Suroor (seven wins) or Mike de Kock (six wins). Bin Suroor has entered likely favorite Thunder Snow (Ire) and longshot Top Score (GB) while de Kock’s hopes lie in Fawree. Epicharis (Jpn) will attempt to be the first Japanese-bred horse to win the UAE Derby. Entrants in the UAE Derby have competed in nine different countries including France, Japan, Brazil and the United States. 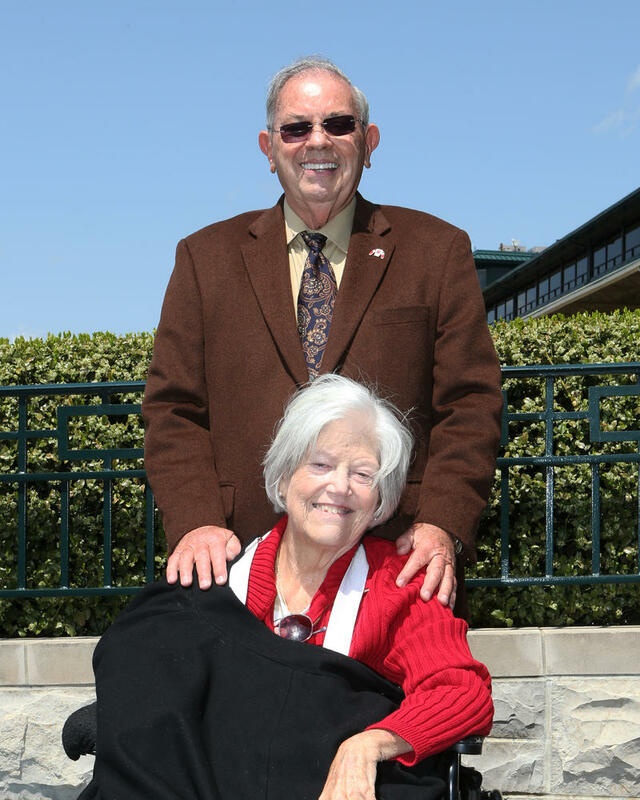 Three of owners Ken and Sarah Ramsey’s seven Kentucky Derby starters were Spiral Stakes winners. The husband and wife duo will start morning line favorite Kitten’s Cat this year. As was the case with last year’s Spiral winner Oscar Nominated, Kitten’s Cat is not Triple Crown nominated and will need to pay a $200,000 supplemental fee should he qualify and be entered in the Derby. It’s all in the family for the jockey-trainer combo of Spiral entrant Giant Payday - jockey Chris Landeros is married to trainer Ian Wilkes' daughter Shelby. Jockey Florent Geroux is racking up the frequent flier miles. After riding two horses Saturday in Dubai – Stallwalkin’ Dude in the $2 million Golden Shaheen and Gun Runner in the $10 million Dubai World Cup – Geroux will fly more than 13,000 miles to Sunland Park where he is scheduled to ride Hence in Sunday’s Sunland Derby. Bronze Age will attempt to give Hall of Fame trainer Bob Baffert his third Sunland Derby victory in the last four runnings. Baffert has won the Sunland Derby a record three times – Wanna Runner (2006), Govenor Charlie (2013) and Chitu (2014) – and all three horses have gone off at odds of 4-5 or less. Breeders’ Cup Juvenile winner and 2-year-old champion Classic Empire refused to work Sunday for the second time in less than a month at Palm Meadows in South Florida. Trainer Mark Casse opted to send Classic Empire to the Winding Oaks Training Center in Ocala, Fla. where he breezed on Wednesday. Classic Empire’s next start could be in the April 8 Blue Grass or April 15 Arkansas Derby. Undefeated McCraken returned to Kentucky on Saturday and breezed at Keeneland on Monday. McCraken is expected to make his next start in the April 8 Blue Grass. … Holy Bull winner Gunnevera was back to the work tab Saturday at Gulfstream Park West in preparation for the April 1 Florida Derby. … Trainer Dale Romans is considering the Florida Derby as a possible next start for Gotham winner J Boys Echo’s final Kentucky Derby prep. He is also under consideration for the April 8 Wood Memorial and Blue Grass. … Master Plan and Vettori Kin are the lone hopes for the United States in Saturday’s UAE Derby. No United States-based horse has ever won the UAE Derby… Daily Racing Form reports that Hall of Fame trainer Todd Pletcher will be sending two horses to the Louisiana Derby: Monaco and Patch. … Spiral entrant King and His Court will attempt to be the second Canadian-bred in four years to win the race. According to trainer Mark Casse, he is pointing the gelding to the Canadian Triple Crown. … 2016 Breeders’ Cup Classic (GI) winner Arrogate tries to become the richest racehorse ever as the heavy favorite in Saturday’s $10 million Dubai World Cup (GI) at Meydan Racecourse that includes United States-based horses Gun Runner, Hoppertunity and Neolithic. Post time for the Dubai World Cup is 12:45 p.m. … The fourth and final pool for the Kentucky Derby Future Wager will open Friday, March 31 and run through Sunday, April 2. The field for the final pool will be released Tuesday afternoon. … Saturday, April 1 will be the season premiere of “Inside Churchill Downs,” co-hosted by Churchill Downs Racetrack’s John Asher, Darren Rogers and Kevin Kerstein, from 10-11 a.m. on ESPN 680/105.7. Those outside the Louisville radio market can listen live online at http://www.espnlouisville.com/. Podcasts of the shows also will be available on the station’s website.